LONDON — British Prime Minister Theresa May has firmly rejected the notion of a second referendum on the country's membership in the European Union, insisting Wednesday that the U.K. wouldn't attempt a back-handed effort to remain in the bloc. May underscored her position before chairing a Cabinet meeting at her country retreat, Chequers. She seemed intent to squelch rumors that the government might be seeking a retreat from the result of the June 23 referendum. "We must continue to be very clear that 'Brexit means Brexit,' that we're going to make a success of it," she said. "That means there's no second referendum; no attempts to sort of stay in the EU by the back door; that we're actually going to deliver on this." 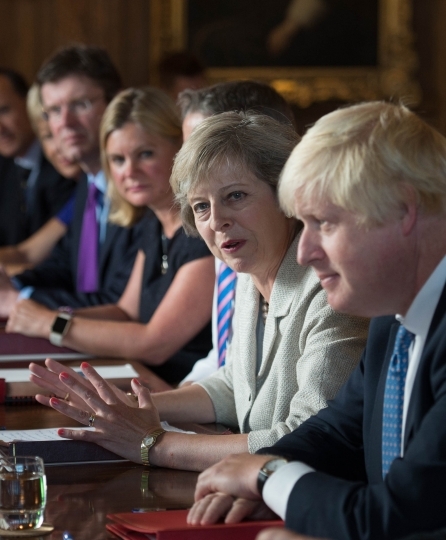 Downing Street issued a statement after the session trying to outline its wishes for the months to come and underscoring that several cabinet members made it clear that they wanted a deal with Europe "unique to the United Kingdom and not an off the shelf solution." The comments fueled speculation that Britain would seek a completely different relationship with the EU, bypassing models used by Norway and Switzerland which allow market access but have no input on EU rule-making. "This must mean controls on the numbers of people who come to Britain from Europe but also a positive outcome for those who wish to trade goods and services," the statement said. In conversations with Norway's Prime Minister Erna Solberg and Finland's leader Juha Sipila, May said that the upcoming negotiations would consider "what is going to work best for the U.K. and what is going to work for the European Union, rather than necessarily pursuing an existing model," Downing Street said. 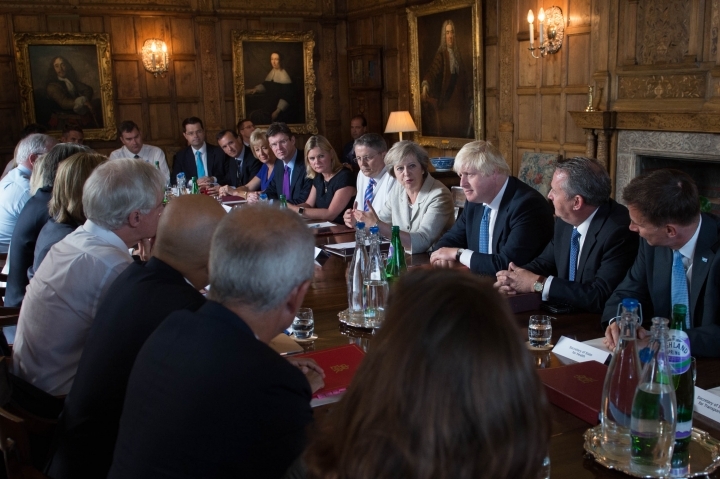 The meeting at the Chequers retreat came amid reports of feuding among the three ministers tasked with making the break from the EU a reality. The session also came after May's office sidestepped questions on whether Parliament will be given a formal vote on triggering Article 50, the EU treaty clause that sets up Britain's departure from the 28-nation bloc. Downing Street has said lawmakers will be given "a say," but has added there's "no legal obligation" to consult Parliament. 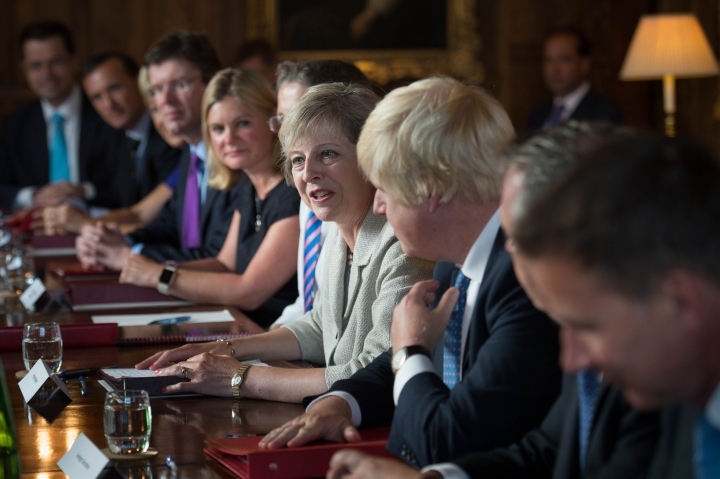 "This really is a very significant moment for the country, as we look ahead to the next steps that we need to take," May said before the meeting. "We have the opportunity to forge a new positive role for the U.K. in the world."